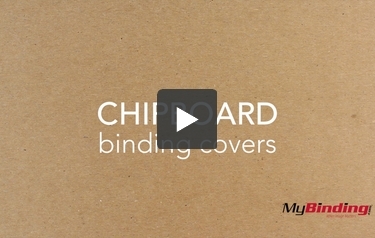 Keep it simple with our line of 20pt chipboard covers! They are the easiest way to make sure your report or presentation stays strong, sturdy, and secure. They are made from 100% recyclable content and can in turn be recycled. It's tough, so you should probably order it pre-punched-which we can do for you! And we have 18 different sizes of covers to choose from, so you won't be left hanging if you have an uncommon project to bind together. So if you need to add another level of strength to work with a flashy cover, or you just need to keep it simple, our chipboard covers are the way to go!